Our used-to-be-intern, now awesome new decorator, Julie just got married. 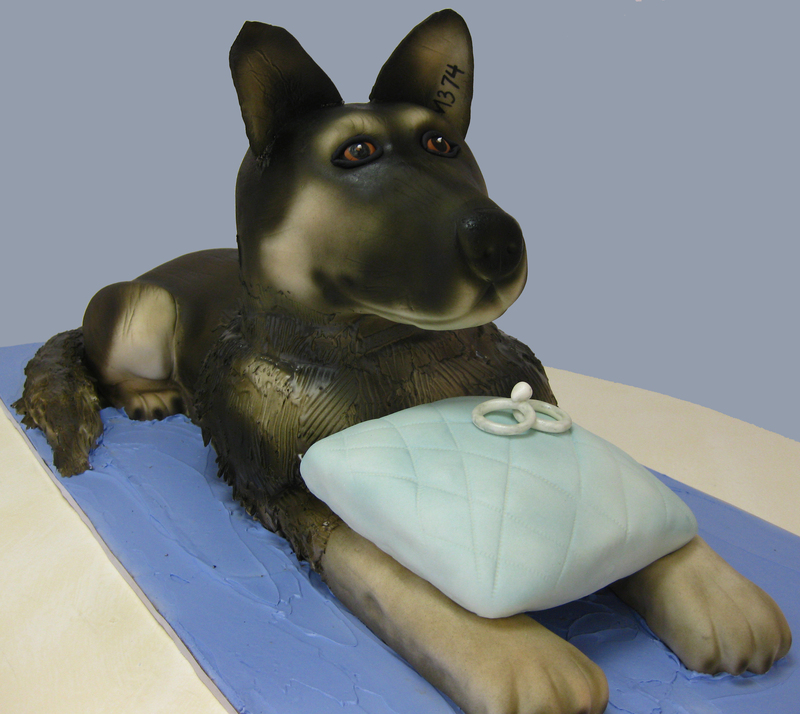 Because their dog could not accompany them on their cruise wedding we made this cake for their rehearsal dinner. 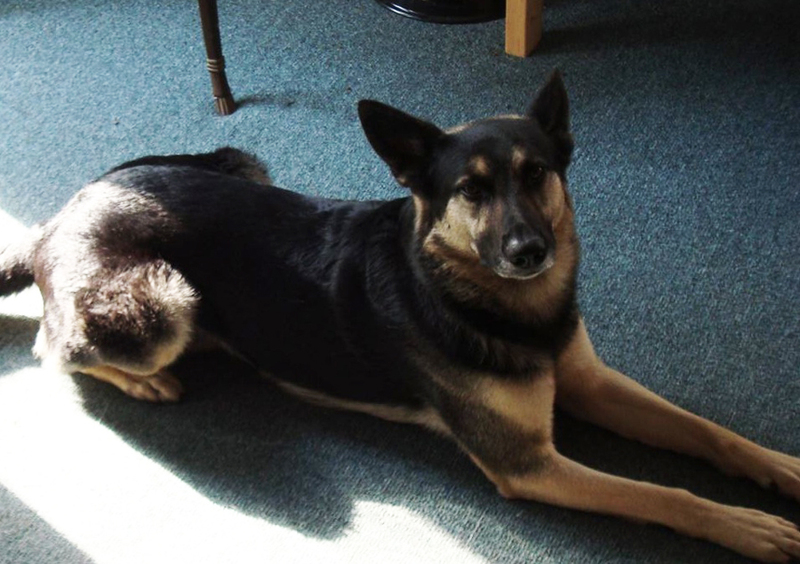 Their german shepherd, named Zorro, goes to work with her husband as a bomb-sniffing dog. It was such an honor to create this cake for Julie and her husband as we could see how much it meant to them to have us represent their beloved dog in cake. What’s not noticeable in the real-life picture is the tattoo number in his ear. Government dogs have these in order to be easily identified. It was a must to include this detail to make the cake undeniably Zorro. Just for fun here’s a ‘before’ shot of handsome Zorro in real life. The cake was awesome! Thank you so much!! !